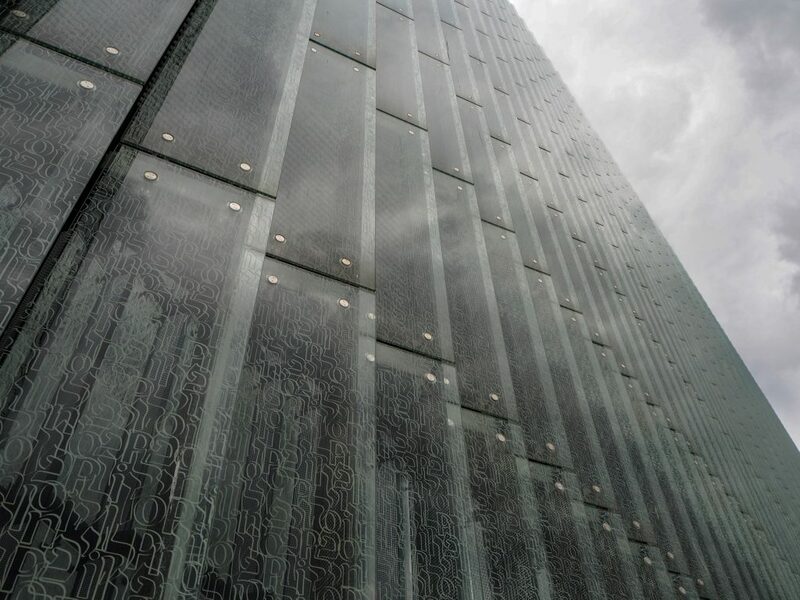 The POLIN Museum of the History of Polish Jews is a fantastic museum. 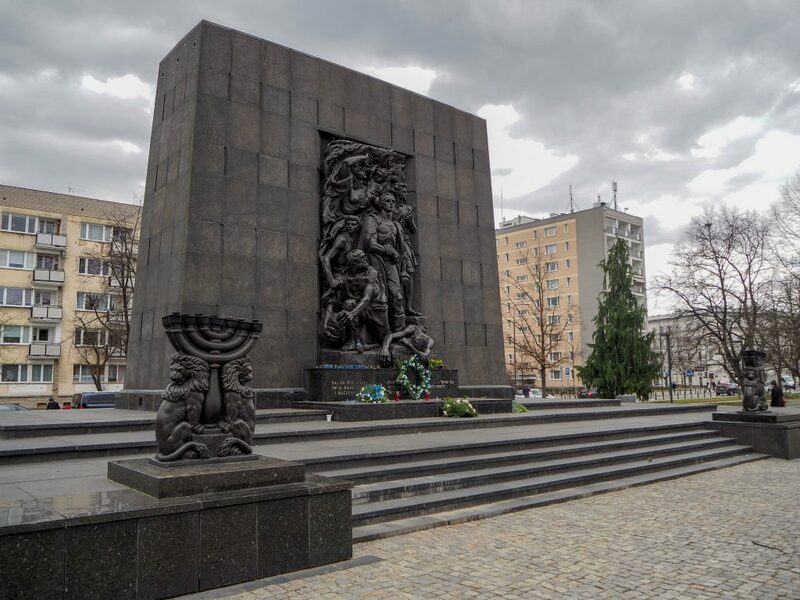 If you are visiting Warsaw, put it on your must-see list. 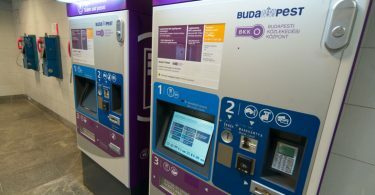 Here are a few quick tips to make the most of your visit. 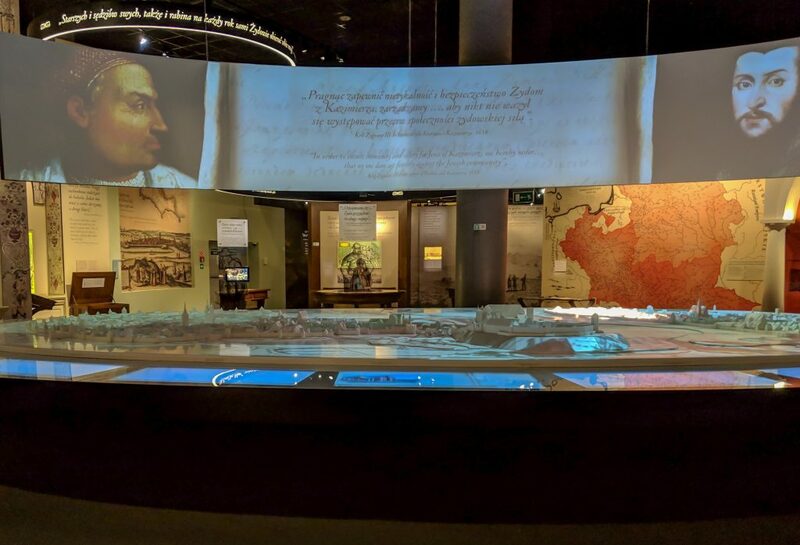 We weren’t prepared for the amount of detailed displays at the Museum of the History of Polish Jews. We spent five hours looking at photographs and displays and checking out the interactive exhibits. We made it roughly 90% through when the announcement overhead told us that the museum would be closing in 20 minutes. We had to hurry our way through the final few areas. If you are planning to visit the current temporary exhibit, you will need even more time. We definitely would not have had the time to see the additional temporary exhibit with the five hours we spent there. Of course, some people move faster, but plan to give yourself plenty of time here. Audio guides can be hit or miss at museums. 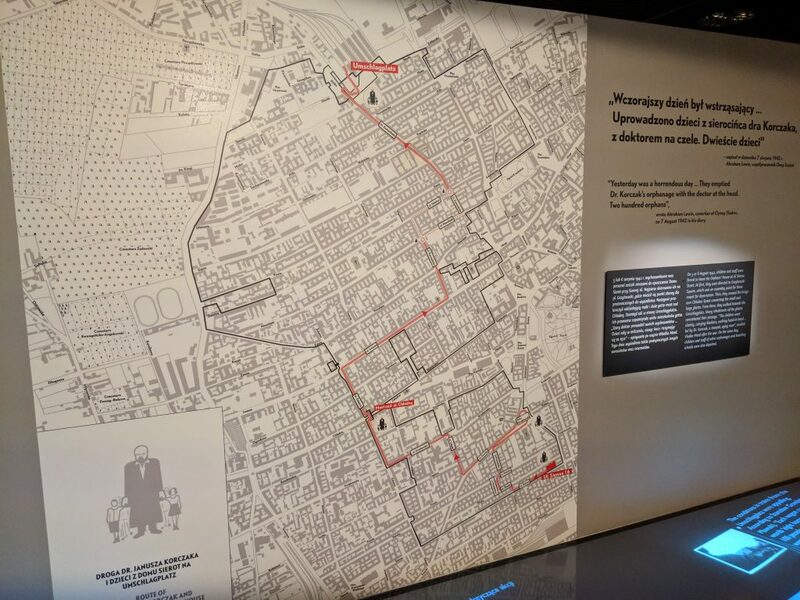 You would still have a great experience without the audio guide at the POLIN Museum, but you would miss out on the well translated story that is narrated. The guide does a great job connecting each exhibit with what follows next. 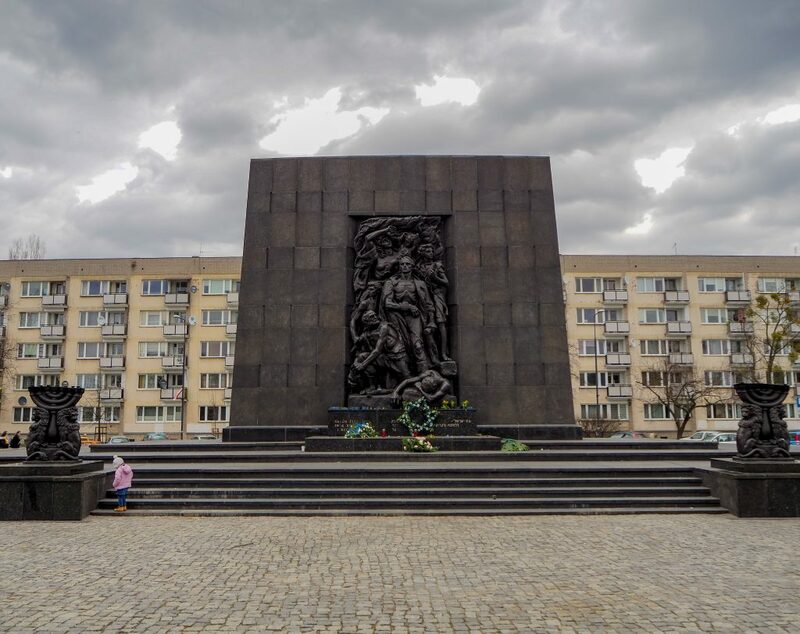 You also get additional details that aren’t provided on the signs- for example, we learned about Janusz Korczak, who had an orphanage with over 190 children, who were all sent to their deaths in the holocaust. There is signage as you make your way through the museum for opportunities to take a break. Take them up on the offer. Sitting down and having a bite to eat is a perfect way to physically and mentally refresh. The POLIN museum has a wonderful section on the main floor with a cafe where you can get a coffee and pastry. 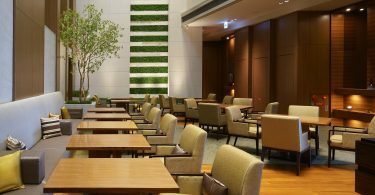 If you’re more hungry, head to the cafeteria-style Besamin Restaurant. They serve breakfast until noon and and Jewish, Polish, and International style lunches after 12. 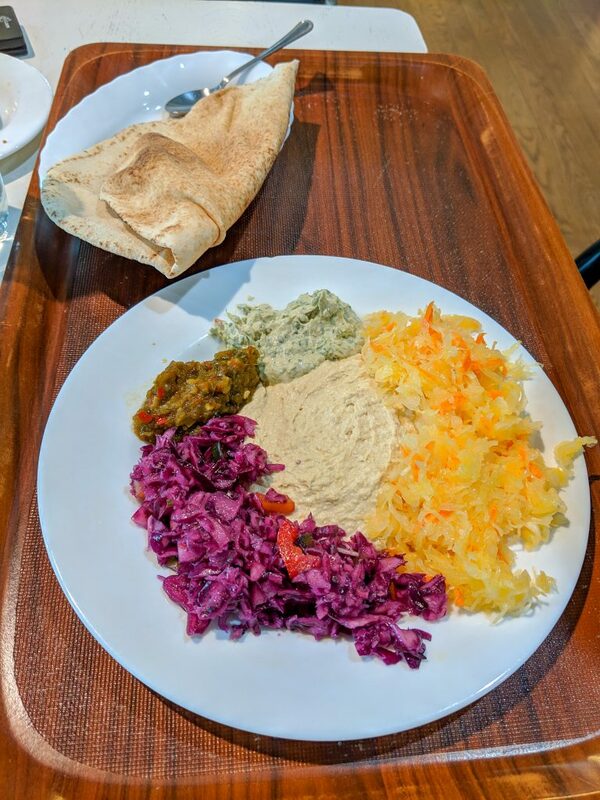 We tried the hummus plate at the restaurant- it was tasty! We have often found museums ban photography. That is not the case here. While there are a few paintings that have “no photos” signs, as flash photography can damage them, there is no problem taking pictures elsewhere. 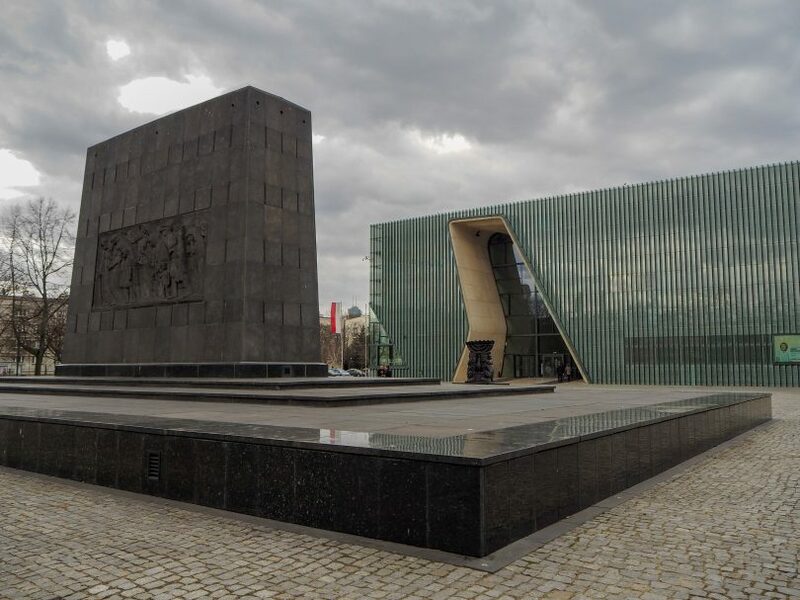 The POLIN Museum of the History of Polish Jews should not be missed. Make sure you do it justice by allowing plenty of time, getting the audio guide, taking a break or two, and snapping a few photos to better remember the effort put into the exhibits and displays.